I love brown postal wrapping paper. It has such an earthy and organic look. I like to use it to wrap a bouquet of flowers for a nice host or hostess gift! You can get a 75 ft. roll of postal wrapping paper at Michaels for just $2.99. 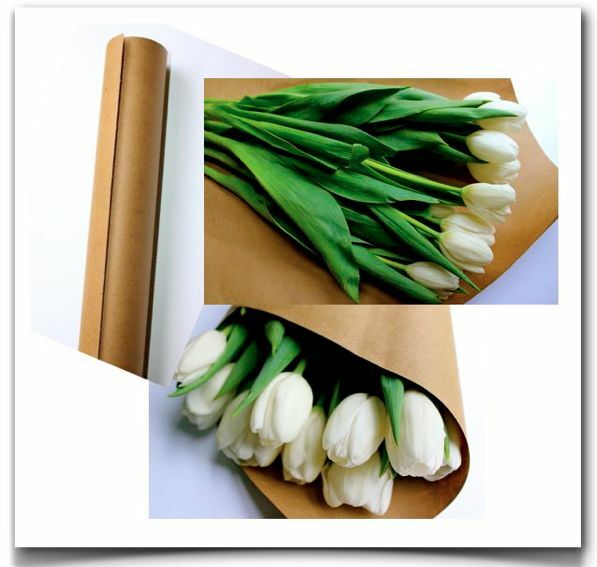 Grab a beautiful bouquet of flowers from the supermarket and rewrap it in the brown paper. Finish off with a simple pretty bow, and bring to someone special! what type of flowers are they ? They are simple white Tulips!